Some people respond well to antibiotics, while others have allergies or cannot tolerate them. Some people have success with naturopathic treatments, and some do well with a combination of both. I personally have tried both the allopathic route and an integrated approach that uses both pharmaceutical and herbal treatments. The combination seems to work well for me. I believe, as a society, we overprescribe and take too many pharmaceuticals in general. Often, we end up taking a pill to treat the side effects of another pill we took for some other symptom. There are many symptoms and minor illnesses than can be treated with diet and simple home remedies. On the other hand, there are some things that require conventional medicine, such as a broken arm. I think they both have their place, their merits, and their weaknesses. Finding a good balance seems to me to be a good approach. I have no preference for Allopathic or for Naturopathic Treatments when it comes to this disease. I don’t believe there is “one way” to treat this disease. It largely depends on several factors regarding the individual such as the length of time of the infection; the co-infections that may be present; the genetic make-up of the person; any underlying conditions; the status of their immune system and overall health; among other aspects. It is impossible to say what would be best for everyone. This is why it is important to see an LLMD for proper diagnosis, treatment options, and monitoring of progress. With proper oversight, these methods can be effective and sometimes the better option for some people. Many LLMDs recommend a combination of both. Besides using natural therapies specifically for Lyme disease treatment, I have also used them in after care maintenance of both Candida and Lyme disease. I have also had great success over the years with many other ailments. The benefits to herbal remedies in particular are that they can be highly effective with little damage to the human body or adverse side effects. They are, however, potent and should be treated with respect as I describe more on the Natural-Herbal Protocols and Essential Oils pages. Naturopathic treatments should not be confused with self-treating. Self-diagnosis and self-treatment is incredibly dangerous. Whether it is an herb, a tincture, an essential oil, or even food, they all contain chemical structures that interact with each other and our bodies. Thinking that it is safe just because it is natural is naive. Being able to do a “Google” search does not qualify you to diagnose or treat Lyme disease. You can spend a lot of much needed money on protocols you “hear” about only to find it was a waste. Take your time to do some research and always be sure it is with the oversight of your doctor. DO NOT try anything without discussing it with your doctor first. Many herbs, supplements, and pharmaceutical medications have adverse reactions when mixed. Do not make yourself a lab rat without at least researching and understanding what the risks are. 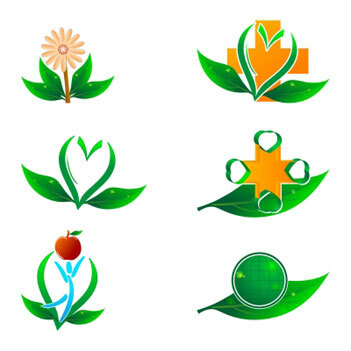 A Naturopathic Doctor is an umbrella term for Practitioners who use several different types of healing modalities. This can include Herbal remedies, Chinese Medicine, Accupuncture, Essential Oils, Massage, Hydrotherapy, other therapeutic support methods, and changes to Diet and overall Lifestyle. Generally, they look at the whole person, and include mental and spiritual health into their evaluation. Many people have had great success using an LLND (Lyme Literate Naturopathic Doctor) to treat Lyme disease. Licensing is different from place to place, and Naturopaths have very individual practices. Find one that suits you personally. Note: Naturopathy should not be confused with Homeopathy, although some Naturopaths include this treatment. See the Other Treatment Options page for more on Homeopathy. If you do choose to go the naturopathic route, please be sure to do so through a licensed and experienced practitioner. Do your homework, find out about the person prior to spending any money on them or their protocol. There are some amazing specialists out there who have helped many people. But just like with conventional doctors, some are better than others. Find one who has a lot of experience with Lyme and other Chronic and Infectious diseases. You should feel comfortable, be able to trust them, and have confidence in their ability to listen, work with you, and customize your treatment to your specific needs. 1) Do you believe you have the cure? If they answer yes, don’t waste your time. 2) What is your success rate? If they have a high success rate, ask them if they keep track of those who do not complete treatment. If they do, what is that percentage in comparison? If they don’t, their success rate is skewed. Use your best judgment. 3) How long have you been treating Lyme and why did you decide to do so? This tells a lot about the person. If they haven’t been doing it long, I would reconsider. If they stumble to answer why, I would reconsider. Use your best judgment. What if you can’t afford an LLMD/LLND or get treatment? Personally, Lyme disease is not something I would be willing to experiment with on my own. I would not do it without the oversight of a qualified doctor unless I had no other choice. The longer you go untreated, the worse it gets and the harder it is to eradicate. I would do whatever it takes to get proper diagnosis and treatment. Get help where you can from family and friends. If you truly cannot afford it and insurance will not pay for it, there are some options to help. If you have no choice or remaining options and you choose to self-treat, be diligent about your research. Be careful about doing too much or too many combinations. Don’t believe everything you hear and use your best judgment. Listen to your gut. If something doesn’t feel right, don’t do it. For those who have Chronic Lyme and antibiotics have failed, or those who cannot afford to see an LLMD, this often becomes the only possibility to alleviate symptoms. In this case, patients may need to continue with a maintenance protocol for an unlimited amount of time. Research the mechanisms of any herb or protocol you are considering and understand WHY it helps with Lyme symptoms, what its efficacy is, and whether it is actually effective or just placebo. Sadly, there are a lot of people out there who are using such a detrimental disease to their advantage and touting miracle cures. There is NO CURE at this time for Lyme disease. There is no magic pill or one simple remedy. Be careful of where you spend your money. Many Lyme patients end up paying out of pocket for treatment and in desperation are willing to try almost anything to get better. Do thorough research before trying anything. Keep in mind that some of these protocols and treatments may indeed help alleviate symptoms, which can make life more tolerable. But this does not guarantee they kill Lyme spirochetes. If they make you feel better, that is wonderful. But do not rely on them solely unless they have been proven effective against the Lyme Spirochete. The danger in this is if they have no real benefit in killing the spirochete, and you are not using any antibiotics (conventional or alternative), the spirochete will have more time to ensure its survival and sustainability within your body. Remember: If it doesn’t make sense or it sounds too good to be true…..it probably is nothing more than snake oil or sugar pills. It is up to you to do your own research and make your own decisions. My purpose with this website is not to tell anyone what to do, but to make the information available. Your best bet is always to find an LLMD/LLND who is experienced with alternative treatments. At the very least, use a licensed alternative practitioner that has experience with treating Lyme disease if at all possible. Feel free to send links to articles and studies regarding any treatment option you feel should be listed here or that you have had success with. The most comprehensive list of information I have found for Alternative Treatments is at Lyme Info.net/Alternatives. Naturopathic Medicine is NOT a license to self-treat. Use common sense and good judgment.